When I was a teenager in the 1980's there was a resurgence in 1960's mod style. 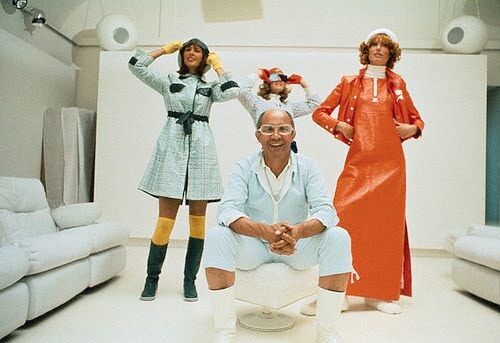 French designer, Courrèges quickly became one of my favorites, and still is to this day! He defined an era, broke molds, and his designs are instantly recognizable. André Courrèges was born in the Basque country of France. Before pursuing fashion he studied engineering. From 1950-1961 he worked for Balenciaga. Balenciaga was a designer who despite having conservatively wealthy customers was ahead of the times in design. He often fused architecture style into his designs and was a master of innovation in draping. André learned so much from working in the Balenciaga atelier before striking out on his own. In the early 1960's when he started his own label, a "youthquake" erupted in fashion. London was the epicenter of a new style that glorified youth culture with the likes of Mary Quant, Twiggy, and scooter culture (think Quadrophenia). This sent shock waves to the couture houses in Paris. André embraced it. With his disciplined training he was able to take this trend and combine it with the high fashion elements Paris was known for. Along with Mary Quant, he is known for the mini-skirt and the fashion revolution that caused. 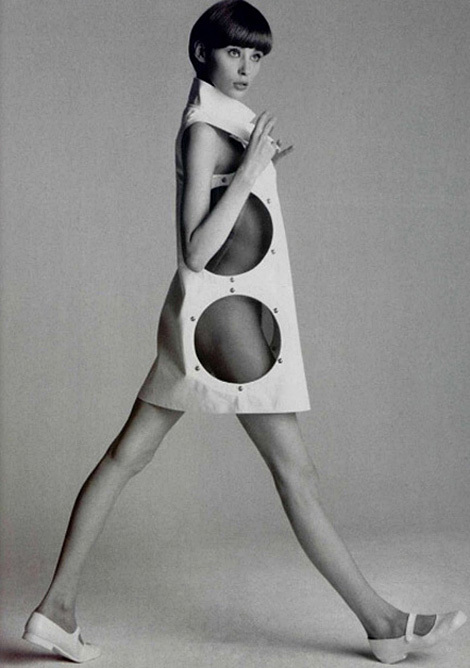 In 1964, Courrèges debuted his Space Age Collection. It was a huge success and Vogue named him designer of the year. 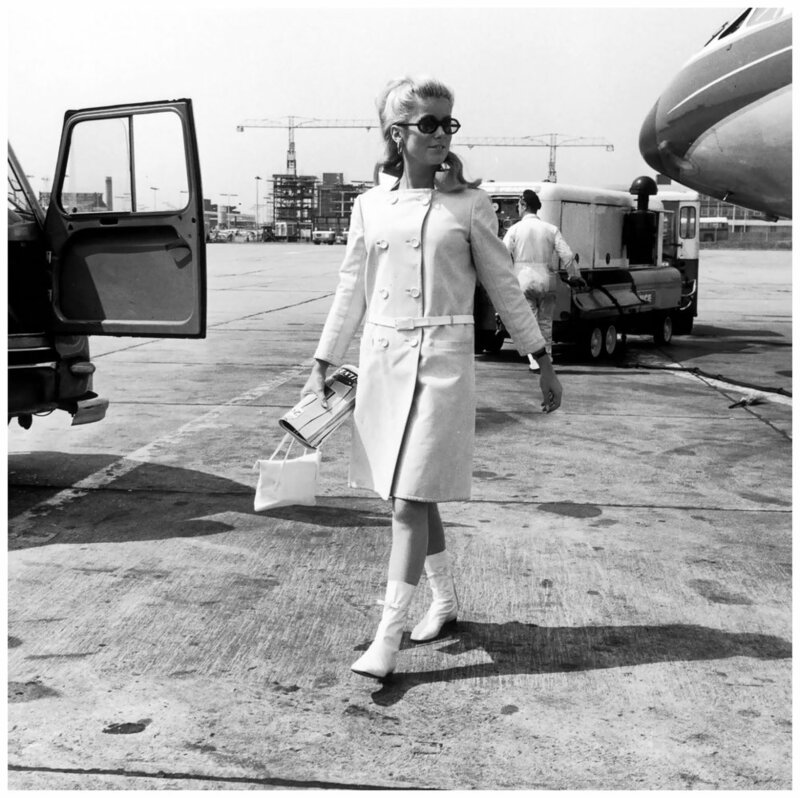 It is through this collection that Courrèges defined his approach to fashion. Minimalism, geometric clean lines, cut outs, technologically advanced fabrics, vivid colors such as pink, orange, green, white, and silver, goggle like sunglasses, helmets, and his famous white boots became what he was known for. His designer peers, Paco Rabanne and Pierre Cardin were heavily influenced and followed in the futuristic look. 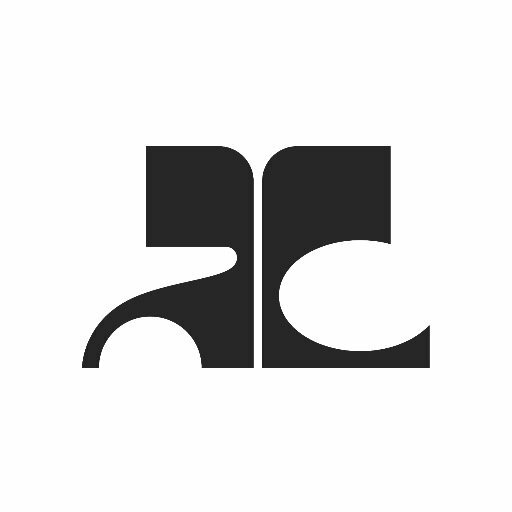 Quick to be copied by manufacturers, Courrèges registered many of designs. Because of his ability to mesh intellect and a strong design ethic, with youth style he dressed many famous clients from Jackie Kennedy and her sister Lee Radziwill, the Duchess of Windsor, Aubrey Hepburn, and Catherine Deneuve among many. Riding on his success, Courrèges came up with other lines to expand his design empire. In 1967 he launched Prototype; a made to order custom direction. At the end of the 60's Couture Future brought him into the 1970s with high end ready to wear. A fragrance called Emrpeinte and a menswear ready to wear line came out in 1973. In the 1980's Hyperbole reached more customers with a lower priced line and in 1985 he sold his company to a Japanese firm. 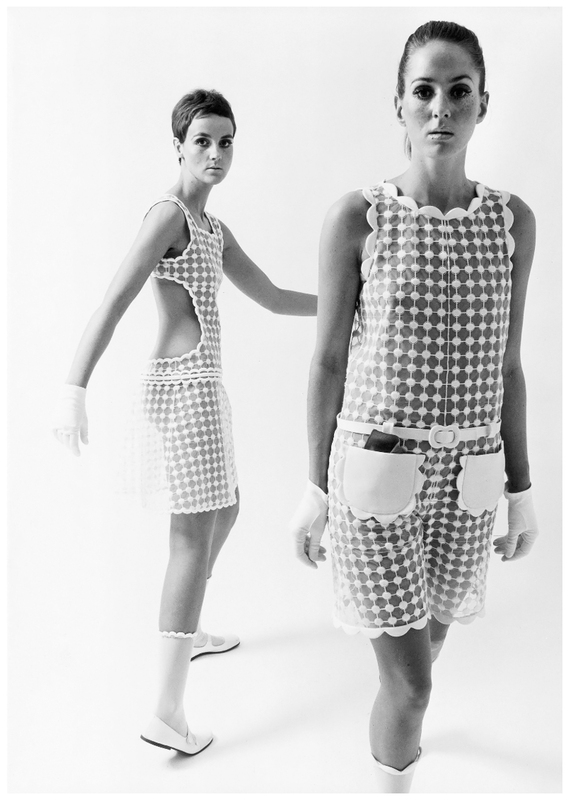 Courrèges is still made today with a focus on his key elements from the 1960's. Andre passed away last year. He will always be known for the modernization of fashion in the 1960's and beyond. For pushing boundaries but also keeping the traditions of the couture houses. A wonderful mix that is still relevant today. Fab right? What is your favorite look? 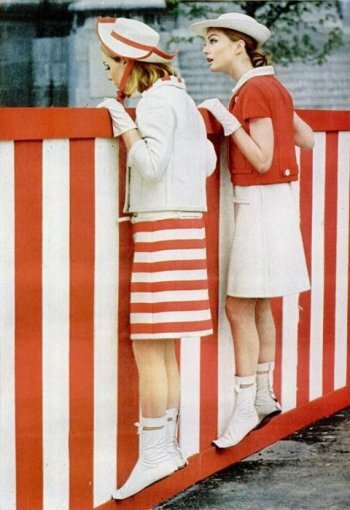 Your favorite 1960's designer? Leave your comments below, I'd love to hear from you. Be sure to visit my shop for vintage Courrèges pieces, and more! Afraid to miss a post? Sign up for my monthly newsletter or follow on bloglovin'.